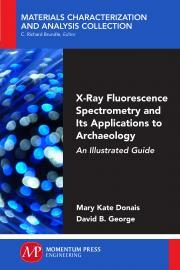 This book serves as a practical guide for applications of X-ray fluorescence spectrometry, a nondestructive elemental analysis technique, to the study and understanding of archaeology. Descriptions of XRF theory and instrumentation and an introduction to field applications and practical aspects of archaeology provide new users to XRF and/or new to archaeology with a solid foundation on which to base further study. Considering recent trends within field archaeology, information specific to portable instrumentation also is provided. Discussions of qualitative and quantitative approaches and applications of statistical methods relate back to types of archaeological questions answerable through XRF analysis. Numerous examples, figures, and spectra from the authors’ field work are provided including chapters specific to pigments, ceramics, glass, construction materials, and metallurgical materials.